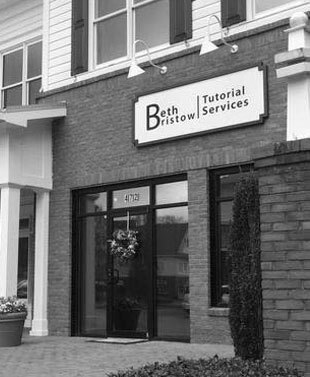 Beth Bristow Tutorial Services is located in Vinings Jubilee, just minutes from Westminster, Pace, Lovett, and North Atlanta. We are located behind CVS and across from Ann Taylor Loft. Beth Bristow and her team of expert tutors are Atlanta's premier source for Subject Tutoring, Test Prep and College Planning. All sessions are both interactive and motivational in nature, with the underlying goal of building self-confidence in students while making learning fun.